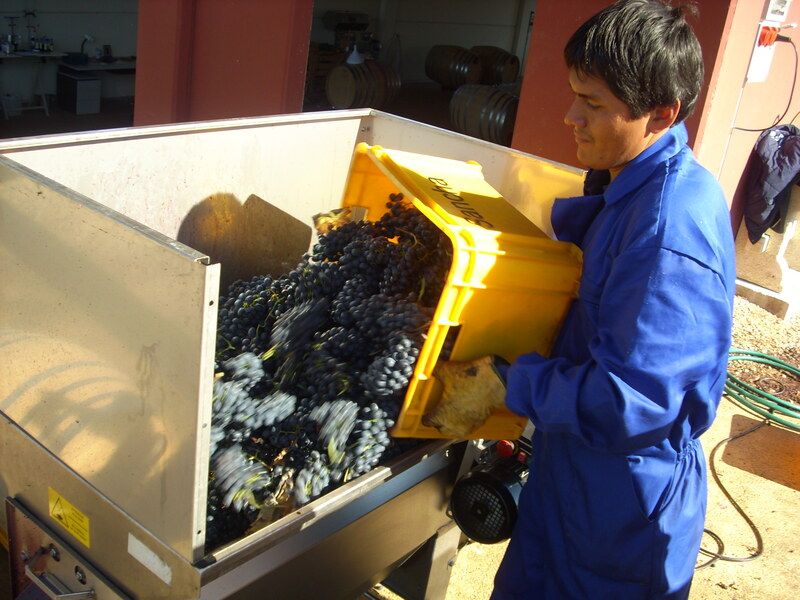 All our grapes are organic and lovingly hand-harvested. After the harvest, the grapes are destemmed. Tempranillo Blanco grapes are immediately pressed (crushed). 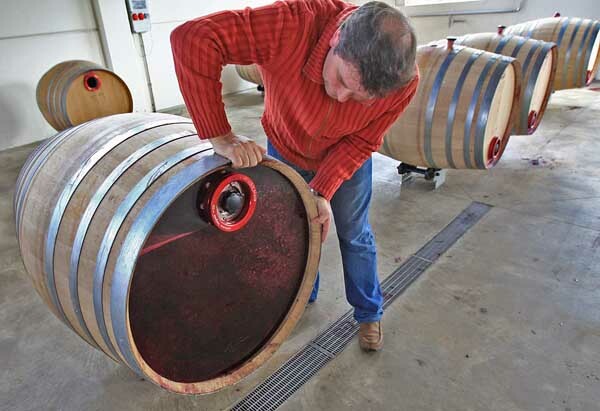 Maturana Tinta and Peña El Gato grapes are pumped whole into new 500-liter French oak (Tronçais) barrels for fermentation stages. This is a revival an a traditional technique, as compared to the modern use of stainless steel tanks. This traditional method provides better aeration and greater extraction of polyphenols (color). For our Maturana Tinta and Peña El Gato (Garnacha) wines, we hand-rotate these 500-liter barrels on a scheduled basis in order to enable the must (begining wine) to maintain contact with the grape skins. These wines are then aged in new French oak barrels (Tronçais) for 11 months for Maturana Tinta and 13 months for Peña El Gato Garnacha. 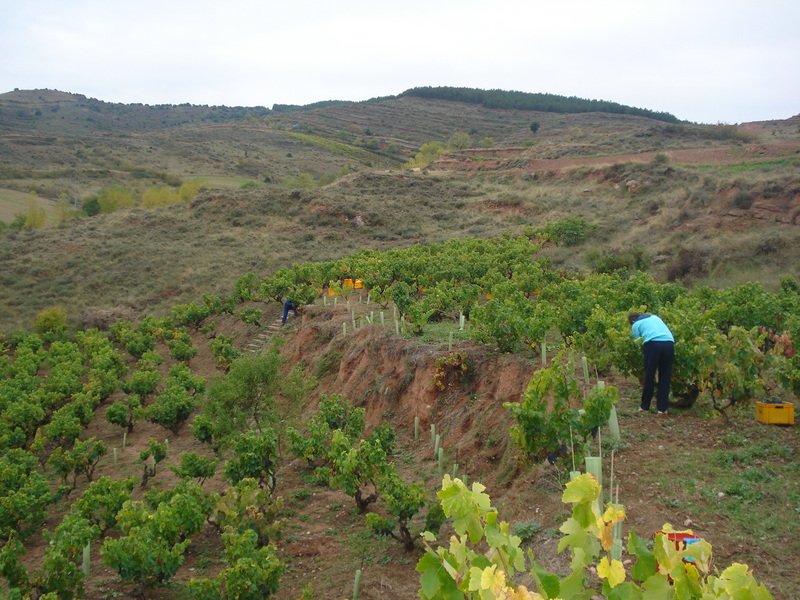 We produce 17,500 bottles of Ad Libitum Maturana Tinta and 1,200 bottles of Peña El Gato Garnacha, per year. In making our Tempranillo Blanco wine, after light crushing of the grapes, the must is racked at 12°C, then fermented in stainless steel tanks at 18°C. This is a young wine, not aged in oak. We produce 6,000 bottles of Al Libitum Temprano Blanco per year.